Fenerbahce Ulker tightened its grip on first place in Group A with a 74-78 come-from-behind victory over CSKA Moscow at Universal Sports Hall in the Russian capital on Friday. The visitors trailed by 6 early in the fourth quarter, but got big threes from Linas Kleiza and Bojan Bogdanovic to pull away for the big win. 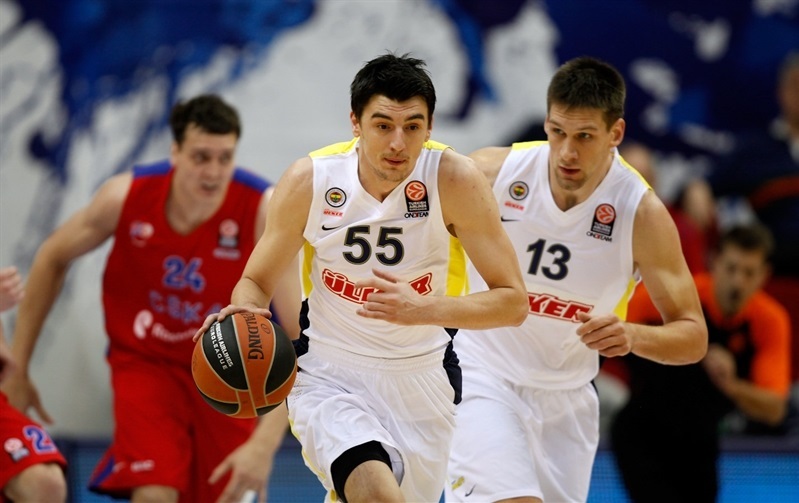 Fener improved to 7-1 in Group A, while dropping CSKA to 5-3. Both teams had previously secured Top 16 berths. Bogdanovic scored 13 of his 18 points in the second half to lead Fenerbahce – including 2 free throws with 7.1 seconds left to seal the win. Kleiza added 13 points on 3-of-4 three-point shooting, Nemanja Bjelica scored 10 and Emir Preldzic contributed team highs of 6 rebounds and 8 assists for the winners. 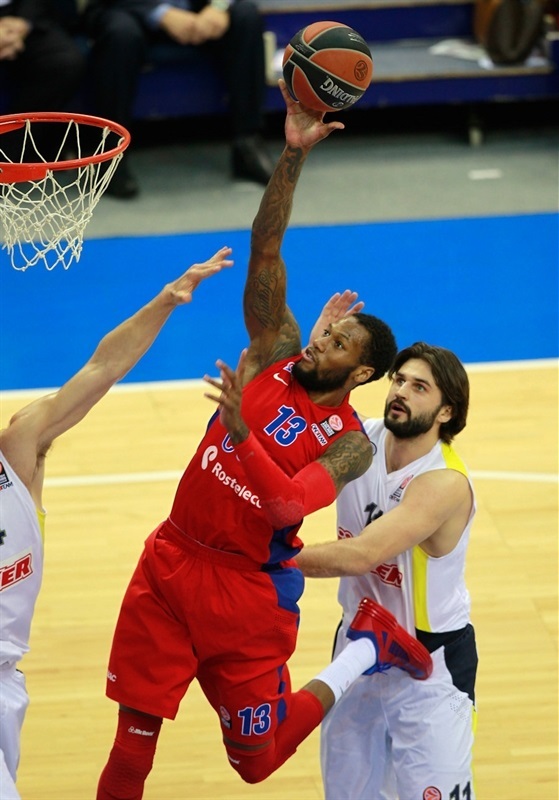 Sonny Weems led CSKA with 20 points, but also missed a key free throw in the closing seconds. 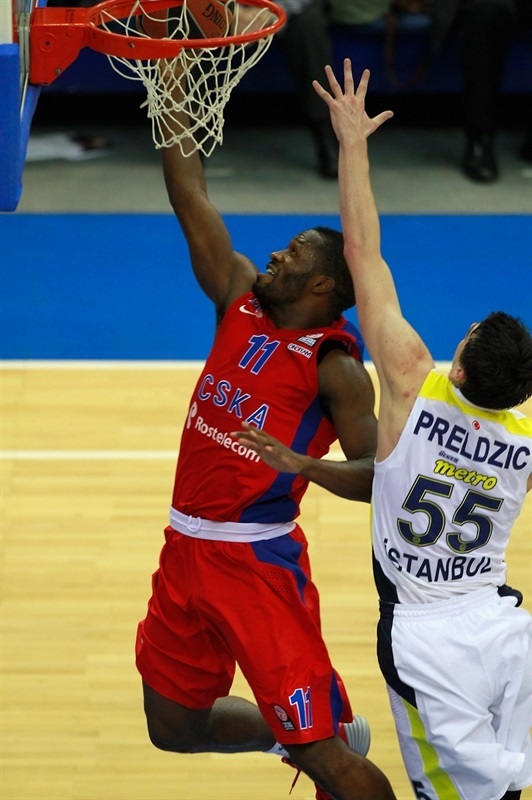 Jeremy Pargo added 14 points and Milos Teodosic recorded 14 points and 4 assists in defeat. Fenerbahce Ulker coach Zeljko Obradovic changed things up some by turning to Kleiza as the starting power forward over Bjelica and the former capitalized quickly for the game’s first points. Preldzic assisted the Gasper Vidmar in the paint before Pargo netted CSKA’s first points with a long jumper and a lefty layup. 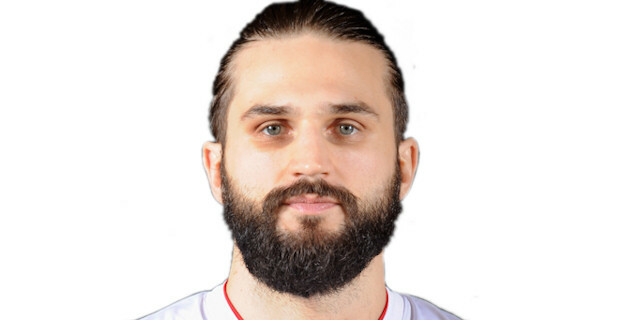 Vidmar exposed a hole in CSKA’s aggressive defense with a dish to Bo McCalebb before Bogdanovic connected from downtown to make it 4-9. After a timeout, Preldzic beat the 24-second clock with another three. CSKA fought back through a basket-plus-foul by Sasha Kaun and a Weems jumper only to see McCalebb strike from deep to make it 9-15. Kleiza and Weems traded scores. Pargo grabbed a loose ball in open court and threw down a two handed jam, but Preldzic scored an easy basket on the offensive glass to protect the visitors’ cushion. CSKA’s second unit came in and helped close the gap. First Kyle Hines scored before Pargo nailed a fadeaway jumper to make it 17-19 after 10 minutes. CSKA continued to show its best face early, tying the game through Weems before Hines gave the hosts their first lead with a jumper. 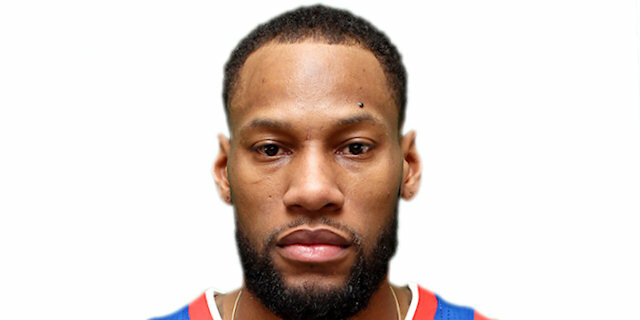 Weems, from the line, capped a 10-0 CSKA run. Luka Zoric scored Fener’s first points on the quarter some three minutes in before Bjelica sent a behind-the-back assist to Kenan Sipahi to tie the score. Andrey Vorontsevich and Weems each scored on the offensive glass, but back-to-back threes by Sipahi and BJelica put Fenerbahce ahead 27-31. Pargo hit another long jumper, but soon Kleiza connected from the corner. After Vladimir Micov and Bogdanovic traded baskets, Kaun drew a foul from Kleiza on the offensive glass and converted the resulting free throws to keep his team within 3. 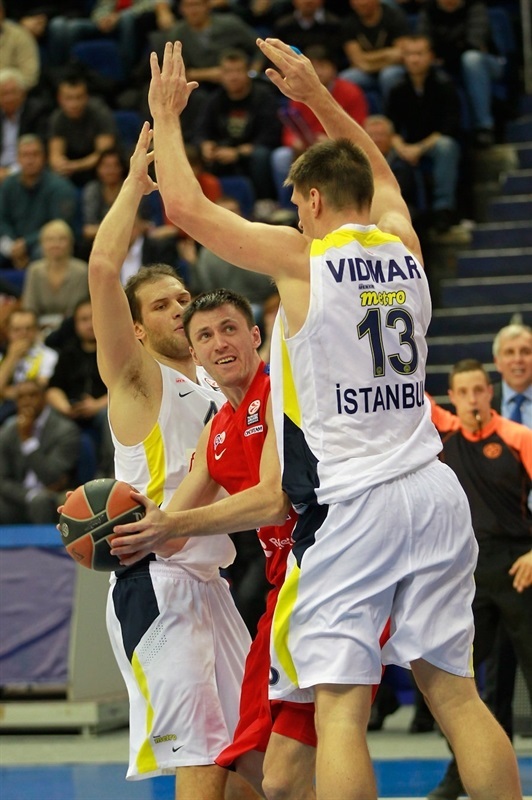 Preldzic set up Vidmar, Weems answered with a jump shot. McCalebb sank another three to ensure the visitors a 35-41 lead at the break. Teodosic made an impact as soon as the second half began, first with a score before a steal and assist to Hines. Bogdanovic padded the Fenerbahce lead from the line, but Teodosic remained hot. Vidmar put back a missed fastbreak layup before Teodosic found Pargo behind the arc to get CSKA within 1. Teodosic drove and dished to a cutting Weems for a slam that put the hosts back in front, 46-45. After the TV timeout, Preldzic lost the ball and Weems finished another fast break with a slam before Pargo penetrated to give the hosts a 5-point edge. Bogdanovic got back to the line for 2 more points, but Weems struck from downtown to the delight of the fans. 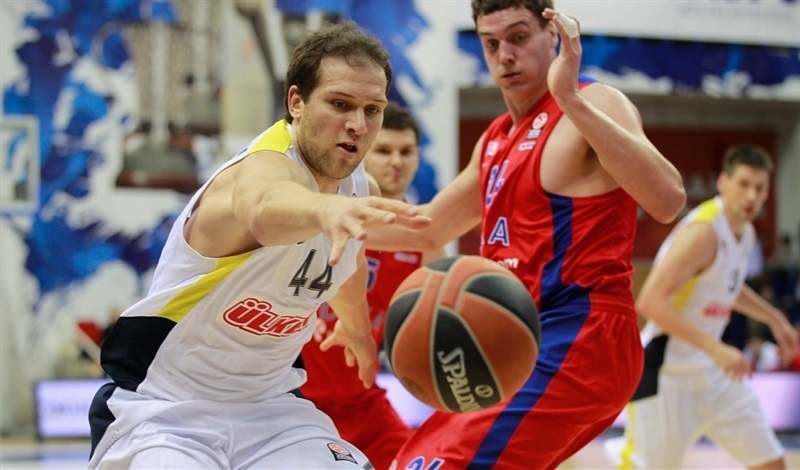 Bogdanovic looked to heat up with his 11th point, but a Teodosic triple kept CSKA cruising. Bjelica stepped up with free throws and then a long three to trim the deficit and a Preldzic steal set the stage for Sipahi free throws to tie the game. However Vladimir Micov restored CSKA’s momentum when he buried a three-quarters court three-pointer to beat the third-quarter buzzer for a 59-56 CSKA lead. Aaron Jackson sank a big three to further charge the hosts. Zoric clawed 2 points back and then threw down a thunderous slam to bring his team within 2. But Teodosic pulled up for a big three, 65-60. Melih Mahmutoglu answered with a three, but Teodosic came right back with a tough mid-range jumper. Kleiza sank a three to make it 67-66 midway through the quarter. After both Weems and Teodosic missed from downtown, Teodosic got to the line and sank 2, but – following a timeout – Bogdanovic drilled a three to tie the game. Bogdanovic free throws put the visitors on top, 69-71 with a little more than three minutes remaining. Kleiza knocked down a third three as Universal Sports Hall fell silent. Vitaly Fridzon split free throws, but Pargo missed a wild shot to make it a one-possession game. 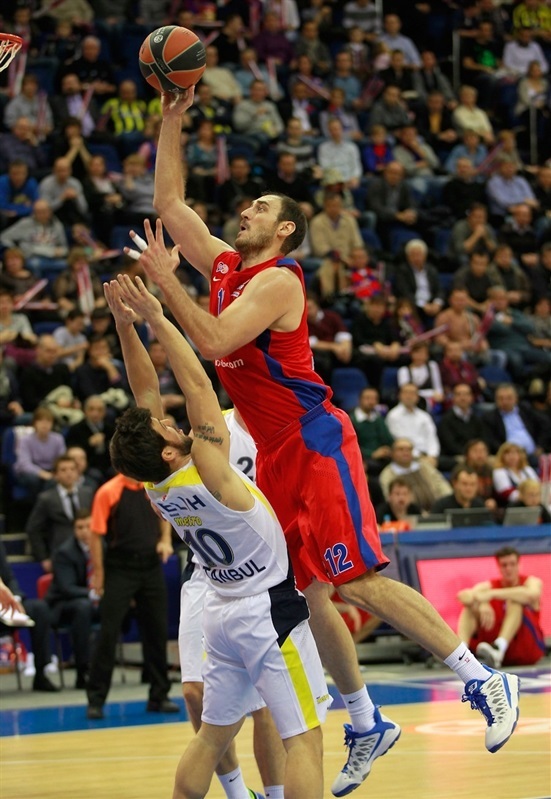 Vidmar missed twice from the line, opening a door for CSKA. Hines stepped through that door with a basket-plus-foul to get the hosts within 73-74 with 1:15 to play. Bogdanovic missed a wild drive; Teodosic missed a three. A clock malfunction stopped the game after a Zoric layup. Teodosic missed a deep three to tie it, but Hines got the rebound and CSKA took a timeout with 15 seconds left to run a last play. Fenerbahce decided to send Weems to the line with 7.7 seconds left; he missed the first and made the second, 74-76. CSKA quickly sent Bogdanovic to the line; he made 2 to essentially seal the victory. "First of all, my congratulations to Fenerbahce Ulker for the win. There were a lot of emotions tonight from both teams. There were a lot of great plays. Unfortunately, we could not perform during the key moments both on offense and defense. I would say that we are now where we should have been one month ago. We continue to recover, we work hard and hopefully we will be where we want to be some time soon." "The game was very difficult as we expected. We know CSKA’s level and we respect them. I asked my players to forget our first encounter. Now I would say that we are teams of the same level. Still I’d like to point out that this is just the beginning of the tournament. The Top 16 is ahead and anything can happen. I am proud of my team. The guys showed character, but at the same time we had some black moments." "It was a tough game. We played good in the third quarter. In the fourth we had few mistakes in defense, which we will work to get better on Sunday. In the first half and third quarter we played defense we needed and moved the ball. We’ll try to get them in another game if we meet them for the third time. We led by 7 points and got them out of the game. But then just let them come back because we became lazy on defense. Now we can’t go back, so we need to move on and prepare for our next game." 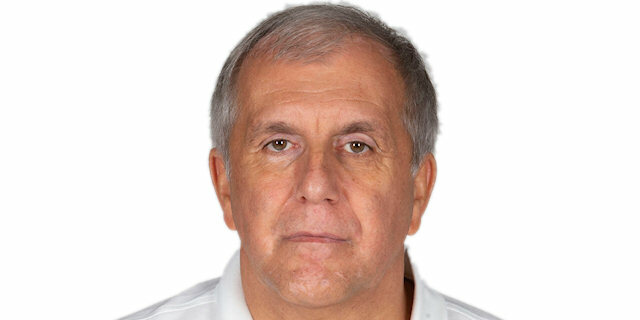 "CSKA is a very good and big team. It was a good game and we are definitely happy that we won it. Both teams played with a lot of fire."